Last week marked a special anniversary in our household - we celebrated two years of budgeting bliss with YNAB. This is worth bragging about, because You Need a Budget is more than a app. It's a lifestyle and a way of thinking that completely transformed our finances. Like a lot of people, I didn't have great mentors when it came to money or any kind of financial education. I still have a lot to learn (like investing, and mortgages, and how to retire before I'm 80) but these days, I can confidently say the day-to-day stuff is under control. We know exactly where every penny of our money is going, we plan ahead for upcoming expenses, we have zero credit card debt, and we live well below our means. These are all hard won victories, and YNAB was our not-so-secret weapon. 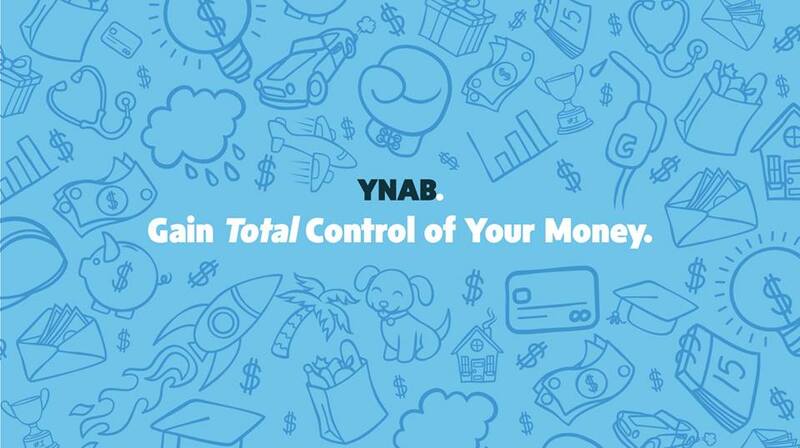 I've sung YNAB's praises so often and to so many people that I have a ready-to-go introductory email I send to folks who are interested in learning more. 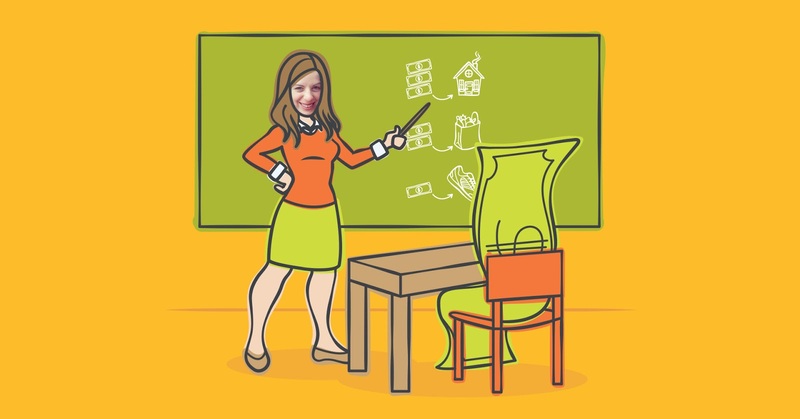 Because I love spreading the budgeting love, I decided to publish that email as a blog post. Think of it as a love letter from me to your bank account, and may it lead to budgeting bliss for you, too. First things first: here's my referral link. We'll both get a free month if you use it to sign up, which is an excellent way to start your new financially-savvy life! Second things second: this app has a learning curve and some quirks. I've been using it since May 2016 and it took me a few weeks to really get the hang of it, but it's absolutely worth the initial effort. So don't give up, even if it frustrates the heck out of you! Pain is temporary, but debt is forever - unless you stick with YNAB. If you're brand new to YNAB, the two things that you need to know to get started are the power of embracing the YNAB mindset, and the magic of setting up your categories. Why, yes. This is a custom illustration of me, made by YNAB, to accompany my guest post on their blog. The basic idea behind YNAB (that's pronounced "why-nab" if you're cool, which you are) is that you decide what to do with your money BEFORE you spend it. This is key. YNAB's language is to "give every dollar a job," which is really just a glorified way of being intentional with your funds. How does this look in real life? Well, the second I deposit any money (IE, pay day, freelance checks, birthday cash) I figure out what those dollars need to do before I get paid again, which means assigning a category to every single cent. Rent, groceries, dog food, wine - it's all there, and it all gets a piece of the pie. Later, when I spend money, I log it and categorize it (for example, a trip to my beloved Trader Joe's counts toward "Groceries") and it automatically deducts that expense from both my overall balance and that category. You can do this using the smartphone app or on your desktop. Personally, I do most of my budgeting on my laptop and log transactions as I go on my phone. You can also import transactions directly from your bank account, like in Mint, but I prefer to do it manually. It makes me more aware of my cash flow and really just takes a few minutes a day to make sure my YNAB balance matches what's in the bank. Now, here's the part that everyone has trouble understanding: you only budget the money you currently have, not money you expect to get later. So even though I am salaried and could feasibly budget a whole year at once, I only budget my money as it hits my bank account, and not a moment sooner. Let's face it - life is wild, and anything can happen. When it comes to your finances, don't assume anything and work with what you have, when you have it. How this mindset has changed my finances: In the past, I'd feel the desire to go out to dinner and would dutifully check my bank account balance because I was "responsible." I'd see some money there and think, great! Cash to burn! Then, a few days later, I'd realize that our annual car registration was due, or the dog had to go to the vet, or I needed to buy someone a wedding gift, and curse past-Chrissy, who had frittered away all her funds on tacos and beer. Now, I almost never look at the balance in my checking account. Instead, I look at individual categories. I feel the desire to go out to dinner? Then I pull up my budget, glance at the "Dining Out" category, and see what I'm working with. If the car registration is due, no problem - I've been setting aside a few dollars every month, so the money is just sitting there, waiting to do its job. Life still throws us surprises, but they're no longer a daily occurrence. My balance has achieved balance. A screenshot of June's budget-to-be, with dollar amounts whited out because privacy. So now you're thinking, "Categories, eh? How do those work, and why are they so magical?" Friend, I will tell you. YNAB comes with pre-set categories for common expenses, like rent, utilities, Netflix, etc. Because we are each special and unique beings, you can and should customize these categories to suit your lifestyle and needs. I added ones for alcohol, Calvin, and donations, for example. You can also move money from one category to another as you go, which is why I joke that every now and then I have to borrow money from my dog. Also, if you need to adjust your budget, you know that you can transfer money from the "Just for Fun" categories pretty easily, but should probably stay away from the "Immediate Obligations." One of the best parts for me has been a category I created called "Future Funds." This is stuff I want to save for in the long term, like plane tickets, birthday gifts, or other big-ticket item. YNAB also encourages you to add your savings account (I have one, thanks to YNAB) and assign those dollars jobs, too. So, instead of having a $2,000 in savings just sitting there, you have $2,000 sitting there, but you have it assigned to categories, like $1000 to emergency fund, $500 to new car, $500 to collapse of society. Same account, just a different way of looking at it. Plus, when you tie a reason to pile of cash, you're less likely to spend it on something else. How creating categories has changed my finances: Like everything else YNAB-related, setting up your categories is an exercise in intentionality. It forces you to examine what you spend money on, and decide whether it's worth creating a space for it in your budget. (Do my chickens have their own category? Yes, they do.) Categories are also a great way to make your goals seem real and possible. For example, I have a category in my Long Term Savings group called "Dream Home," which I would like buy someday. I also have one called "40th Birthday Trip." It's empty right now, but every time I open my budget, I see it. I'm reminded of that goal. And soon I'll start funding it. One step at a time. YNAB also has cool charts and graphs. That big spike is when I bought a car, mostly in cash. A quick note: it's important to remember that budgeting is not the same as spending. While you budget every dollar, you shouldn't spend every dollar. Ideally, anyway. Sometimes a dollar's job is to sit there for a very long time, in service of a long-term goal (like "Dream House") or for peace of mind ("Emergency Savings," anyone?). YNAB is like learning a language - the best way to become fluent is to immerse yourself in it. So start your free trial, set up your categories, and start thinking about what you want out of life and how your budget can help you achieve those goals. Try it out and let me know what you think! Drink a glass of wine while you watch the videos! Become a financial rock star! I'm still working on that last step myself, but thanks to YNAB I feel like I'm on my way.